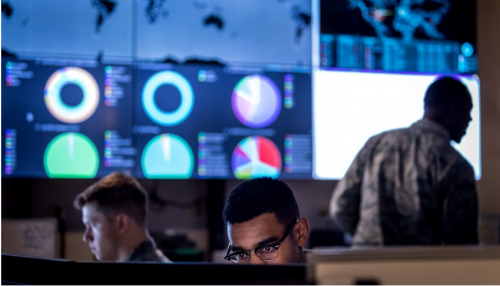 Cybersecurity experts shared their experiences in combat cyber threat. Kevin Mandia, chief executive officer of FireEye, shared four main methods to tackle cyber threats. The first one is deterrence. A system is to identify the time and place of an attack as well as the attacker. “If you know who compromised you, that’s the only way to enact policy; it’s the only way to hold nations accountable,” said Mandia. Secondly, collating all information spread across the nation to acquire a shield during times of geopolitical tensions for certain industries and system not be able to defend a cyberattack. Thirdly, establishing rules of engagement on the internet is a crucial step. “We have to start holding people accountable, and we have to make it so that nations that abide by the rules of engagement are all going to live with and have a good internet experience,” he added. Finally, governments should prioritize protecting its systems first, critical infrastructure next, and then the nation. Can fake news be eradicated? Some of the smartest people in technology pondered how to make AI trustworthy.